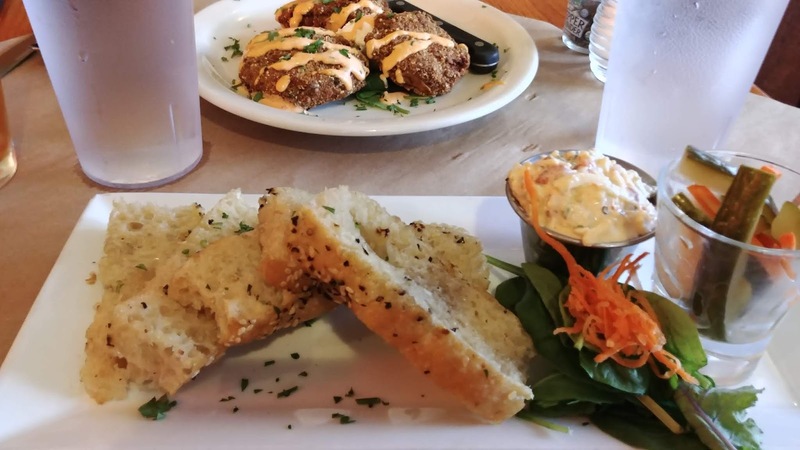 Pimento Cheese Toast (toasted focaccia, pimento cheese, house pickled vegetables). I don't like pickled vegetables, but SP does, so he got to eat them all. The pimiento cheese was yummy when spread on the toasted focaccia (which could have been toasted a bit more for my taste). Pecan Fried Green Tomatoes (goat cheese, roasted red pepper aioli). 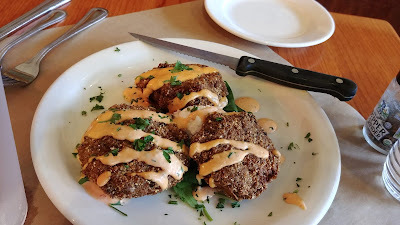 I liked but didn't love these, probably because of the pecans. I don't really like nuts but I wanted to try these anyway. I found the pecan crust crumbly and too difficult for my teeth to crunch. SP has serious sharp, chomp up food teeth and he likes nuts so these were a hit with him. 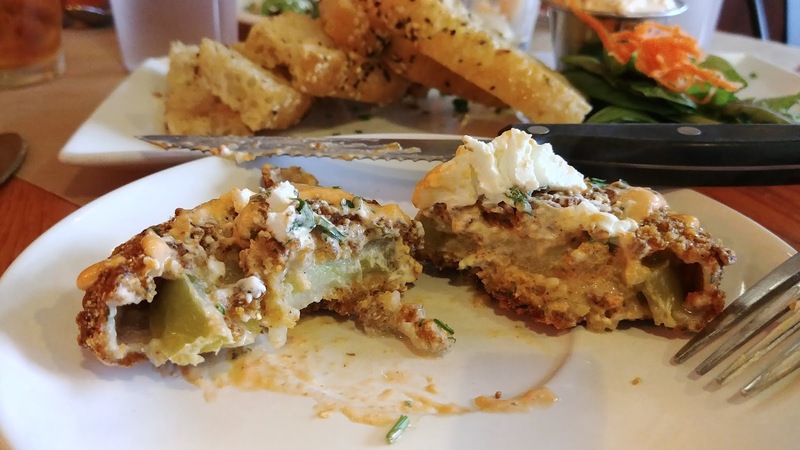 I did enjoy the goat cheese and red pepper aioli with the green tomatoes. 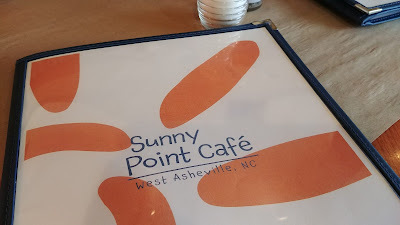 I'd go back to Sunny Point Cafe for a meal to try their Breakfast Sandwich or Croque Madame or Mighty Meaty Meatloaf. Everyone was friendly, the iced tea fresh brewed, and the food tasty (personally not liking nuts does not mean the tomatoes are not tasty, they were tasty to someone who liked nuts).